Herreshoff Nereia 42 - "All talk"
Price: $112,500. recently reduced to a bargain price for a "pristine sail away condition" custom Herreshoff design. Currently in the water dockside at the Gananoque Municipal Marina and available for immediate showing....call to book an apointment to view this spectacular custom Herreshoff design. You will not be disappointed! All Talk is a 36-foot Herreshoff Nereia ketch build in aluminum - a fast, modern variation on a 1947 L. Francis Herresoff design. All Talk's builder, Roland Guiberteau, created a hull and deck structure faithful to L. Francis Herresoff's original design. Riggers EB Spars installed a modified tall rig design by Chuck Paine. Systems were choosen according to their sustainability and installed so that all servicing can be done by the owner with basic tools and knowledge. 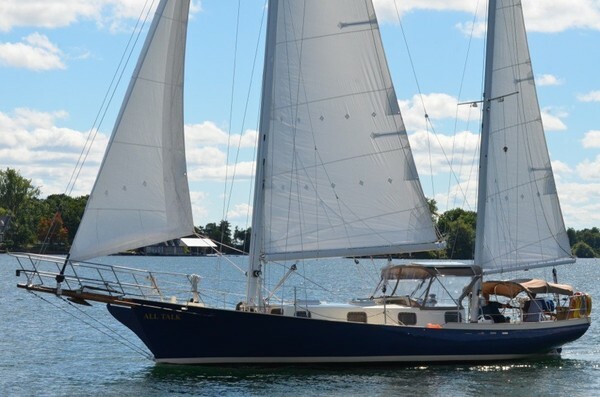 All Talk was commissioned from one of Canada’s foremost aluminum boatbuilders for nearshore and offshore shorthanded cruising in remote areas by an experienced sailing couple. The original Herreshoff rig was modified by U.S. yacht designer Chuck Paine to take into account the greater ballast ratio (11,000 lbs embedded lead) allowed by aluminium hull construction (6,000 lbs empty). 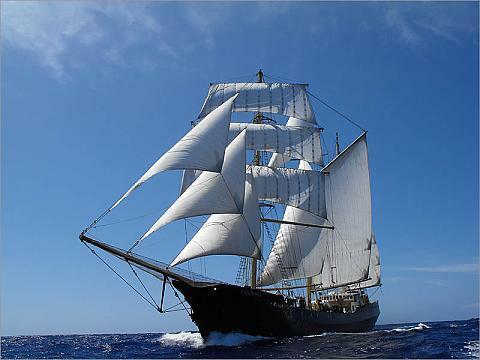 As a result, All Talk is a stiff, fast, weatherly vessel capable of carrying full sail in most conditions while demonstrating an easy motion and good speed under various sail and reefing combinations. The long keel, transom-hung rudder, tiller autopilot steering, dependable Yanmar diesel and offset shaft with a 16x11 Hawboldt three-bladed propellor allow for fuel-efficient (2 l/h @2000 rpm) motorsailing and superior control in reverse. This is an exceptionally easy vessel to singlehand. The builder’s mandate was to remain true to U.S. yacht designer L. Francis Herreshoff’s 1947 design while incorporating the best practices of French aluminum boatbuilding with regards to the alloys and welding schedules used in All Talk’s construction. The hull, deck and house are a monocoque structure, with ribs (every 24”) and stringers (every 18”) cut from 5 and 6 series alloys (5086, 6061T6) offering excellent saltwater corrosion resistance. Stanchions, pulpit and pushpit are solid 6061T alloy bar, socketed and bolted into bases enabling them to be removed for inspection and recoating. All chainplates and Sampson posts at bow, midships and stern are structural. The result is a tremendously strong, stiff hull and deck which allows the rig to be set up taut and remain so. fore end of the house) consist of inner and outer 6 mm Lexan lenses through-bolted with SS bolts and locknuts every three inches, sandwiching a butyl rubber seal. The rig was engineered by professional rigger Evert Bastet to be owner-serviced anywhere in the world. Both masts are keel-stepped with Spartite cast-resin partners. Sta-Lock and Acmo swageless terminals allow non-destructive inspection. All SS standing rigging is oversized and has never seen salt water. The 50’ tapered mainmast and boom are from Charleston Spars; the 40’ tapered mizzen is a custom French extrusion. 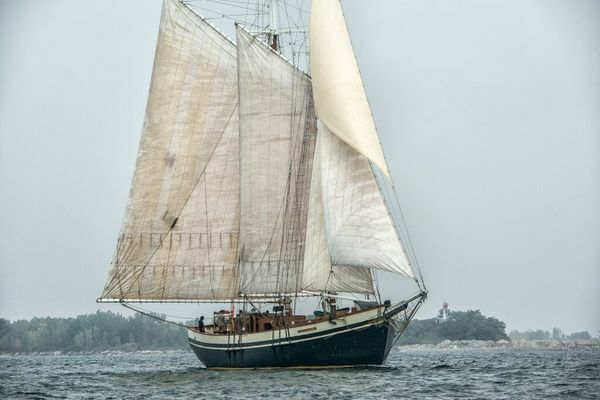 The working sails – 100% jib, double-reefing mainsail and single deep-reefing mizzen – are by Michele Stevens Sailloft (Lunenberg, N.S., Canada). All are in good to very good condition. Sailhandling gear is Harken, Berensen and Ronstan. Three main sheet winches are Harken/Barbarossa #46 self-tailing, halyard winches are also Harken/Barbarossa. Main, genoa and staysail travellers are Harken, as is the jib furler. 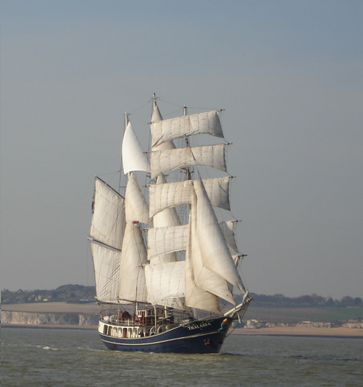 During construction, provision was made for hoisting and sheeting a light-air genoa and mizzen staysail. Lazyjacks on both main and mizzen ease the task of lowering and furling sail. All mechanical and electrical systems were engineered to be owner-serviced with ease of access via a removable engine box and bulkhead access. This includes the Yanmar 4JHE and PYI PSS shaft seal, Isotemp six-gallon hot-water heater, Webasto Airtop 3500 central forced air heating system, batteries and fuel tank. Fuel capacity is 100 U.S. gallons; water, holding are each 250 litres in flexible Vetus bladders with space in bilge compartments to double that capacity. Three bilge pumps include two Whale 1100 automatics and a Plastimo double-action diaphragm pump. Forepeak accessed by a separate deck hatch provides ample room to store fenders, lines, boathooks, spare anchor, jerrycans, spares and access the GDI 1500-watt vertical windlass and chain locker below. (All Talk currently carries 60’ of chain and 200’ 3/4 nylon rode with a single 45-lb CQR.) Provision was made for dual rollers on the laminated Douglas fir bowsprit and all-chain rode. The forepeak is separated from the living space by a 5 cm (2”) insulated watertight bulkhead to ensure the crew’s survival in the event of a collision. Aft of that is the private forward cabin, with eight-foot double bunk to port, hanging locker and six-foot single bunk to starboard. Aft of that is the head to port, with a heated hanging locker for oilskins, shower sump, toilet and stainless steel sink inset in a Corian countertop. Wye valve allows wastewater to be pumped overboard or into the holding tank; the handle of the Forespar Marelon through-hull is removable to comply with Great Lakes discharge regulations. All five through-hulls and four of the five seacocks are Marelon; the engine’s cooling water intake is controlled by a SS ball valve. All are easily accessible and cycled regularly to ensure dependable operation. To starboard of the head is the linear galley. The Plastimo Azores three-burner gimballed stove is directly beneath an overhead hatch and fed by a 20-pound aluminum tank in a sealed propane locker draining overboard with a Xintex Fireboy remote shutoff in the galley. Beside the stove is a Seaswing gimballed alcohol stove when conditions are too rough to use the main stove. The deep 24” round sink drains well on both tacks. Galley and head sinks are supplied with hot and cold pressurized water. Foot pumps on both sinks can be connected to seawater or tanks. The top-loading refrigerator is equipped with an energy-efficient Waeco/Danfoss chiller unit and is insulated with a minimum of 10 cm (4”) of closed-cell polyurethane foam and a double-sealed hatch/cutting board. The galley countertop is Corian. To port is an elevated sitting and dining area which converts into a double seaberth. A square pedestal table folds out to create a dining area for four people. At the aft end is a six-foot quarter berth and access hatch to the machinery space. To starboard aft of the galley is bench seating beneath the companionway with insulated bins below and a large pantry and storage lockers outboard. Twin master switches, one dedicated to the 1000 MCA cranking battery, the other for the three AGM 88AH Group 24 house batteries. Banks can only be linked by turning both switches to BOTH. All are fused close to batteries; starter and windlass circuits are also protected with 300-amp breakers. All circuits are equipped with breakers on two 12 VDC panels. The 120V AC panel includes breakers for the hot water heater and 25-amp Cristic charger. AC outlet is breaker and GFI protected. A cathodic protection system, galvanic isolator and reverse-polarity indicator provide protection from, and warning of, possible stray current corrosion. Battery charging is achieved mainly with two Hitachi 85-watt solar panels atop the dodger. Average bright-cloudy output is more than ample to cover refrigeration, navigation and electronics needs. A solar output and battery readout next to the companionway allows easy monitoring of the state of charge. VDO instrumentation includes voltmeter, ammeter, knot meter and log, trim indicator, depth sounder and anchor alert. Yanmar instrumentation includes tachometer, engine hour meter, oil pressure and water temp analog pressure gauges as well as visual and audio warnings for oil pressure and water temperature. A Plastimo Olympic compass is mounted on a binnacle on the aft side of the mizzen immediately above the instrument pod at the front of the cockpit. Bowsprit and drop boards: Cetol Marine (redone in 2017). 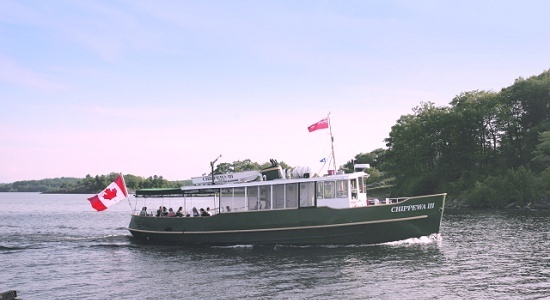 Tiller is finished bright, the only exterior varnished surface on the vessel All inside aluminum components, including ribs, stringers, plating, floors, mast partners, engine beds and bulkheads, were prepped with sprayed coal tar epoxy. Bulkheads are of 5/8” exterior fir ply, epoxy saturated and faired All structural wood components are epoxy saturated. Hull and deck are insulated with a minimum 2” of polyurethane. All Talk carries a full complement of safety equipment, including double lifelines, jacklines, safety harnesses, lifejackets and lifebuoys, flares, fire extinguishers, horn, searchlight and sealed-beam units on the mizzen spreaders and mid mainmast to light up the deck. Hard-wired VHF is located next to companionway. Swim and emergency ladders are easily accessible and deployable. Fenders, lines, spares and the usual cruising paraphernalia find plenty of space in the forepeak and cockpit lockers. The machinery space is equipped with a smoke alarm. A CO detector is located in the forward cabin and covers the living quarters. A full enclosure, folding seats and cockpit cushions provide an additional measure of comfort for crew and passengers. As Herreshoff explains in the chapter on the Nereia in his Sensible Cruising Designs, the well deck is the perfect lounging area while the crew works the boat from the cockpit. All Talk can take a dozen people daysailing in comfort and security.